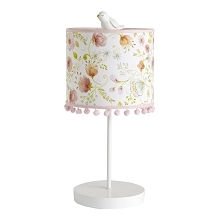 This lovely vintage collection features the hand painted designs of renowned artisan Dena. 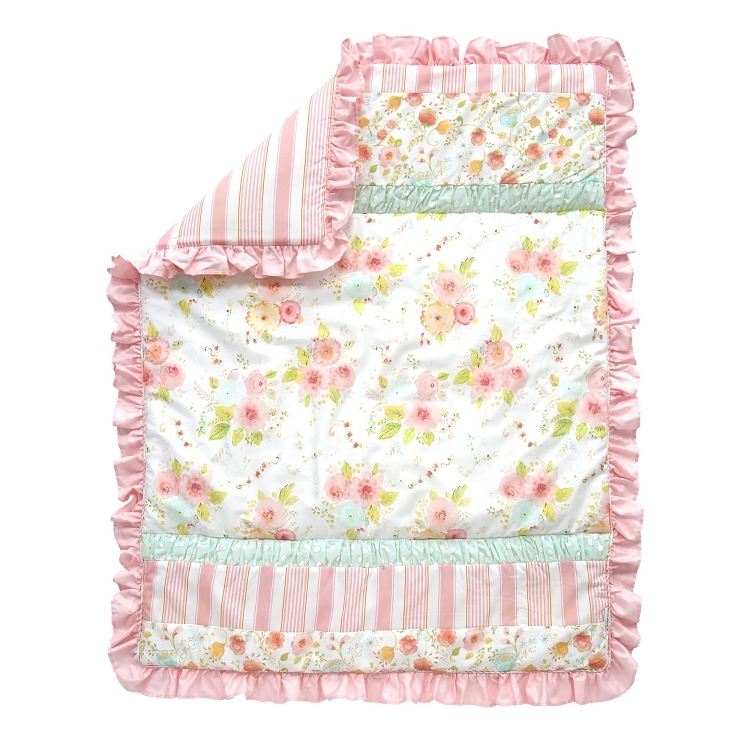 She designed a beautiful floral print mixed with dots and stripes in soft pinks, apricot, and spearmint. 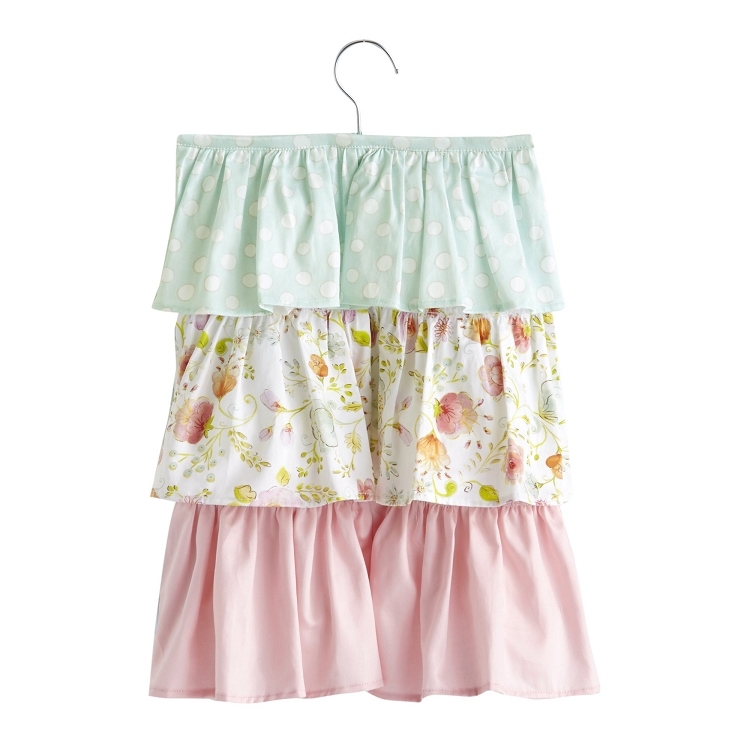 Included are tiered ruffles, pompom trims and trendy large flower wall appliques. 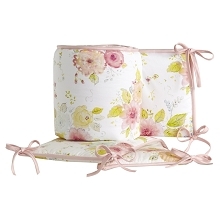 The bedding set includes one quilt, one 100% cotton fitted crib sheet, one tiered dust ruffle and one diaper stacker. Beautifully designed florals, stripes and dots in pinks, apricot, and spearmint are the perfect combination of colors for this vintage chic collection. The tiered diaper stacker is 18” long and holds approximately 35 diapers. 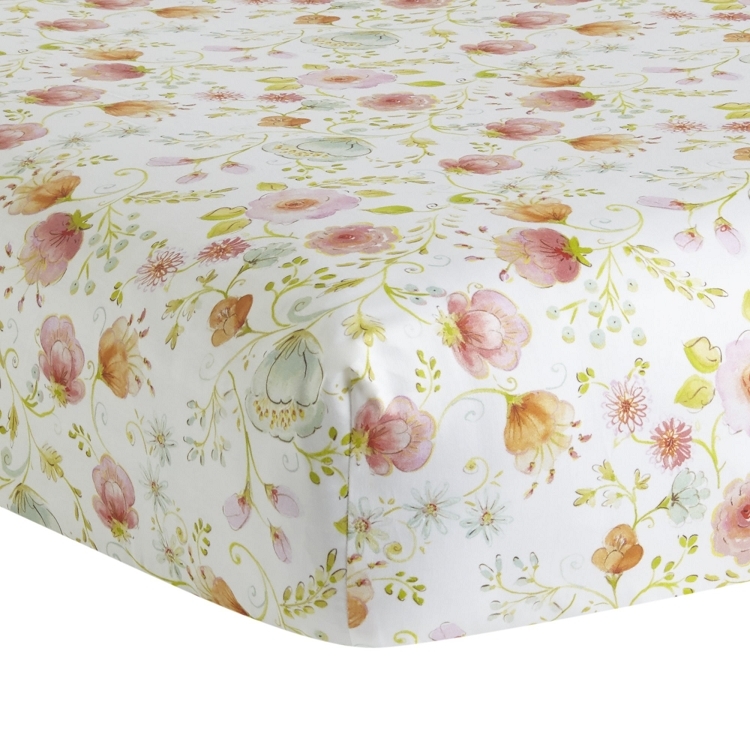 Fabrications are a combination of cotton sateen and a cotton poly blend. Imported.